Another book down! 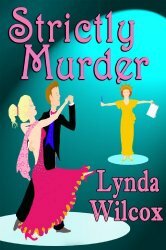 I read a cozy mystery this week, Strictly Murder (The Verity Long Mysteries Book 1) by Lynda Wilcox. If it weren’t for the fact that the whole reason I started this reading challenge was so I could get through the backlog of books I have to read, I would definitely buy the sequel and start it next. I enjoyed the book a lot. I do hope I’ll get to the other books in the series sometime, since the reviews make a case for books #3 and #4 in the series being even better, and then there’s a novella too. This reading mini habit I’ve been working on, 2 pages of fiction a day, never less, more if I want, seems like it’s really going to keep my fiction reading on track this year.